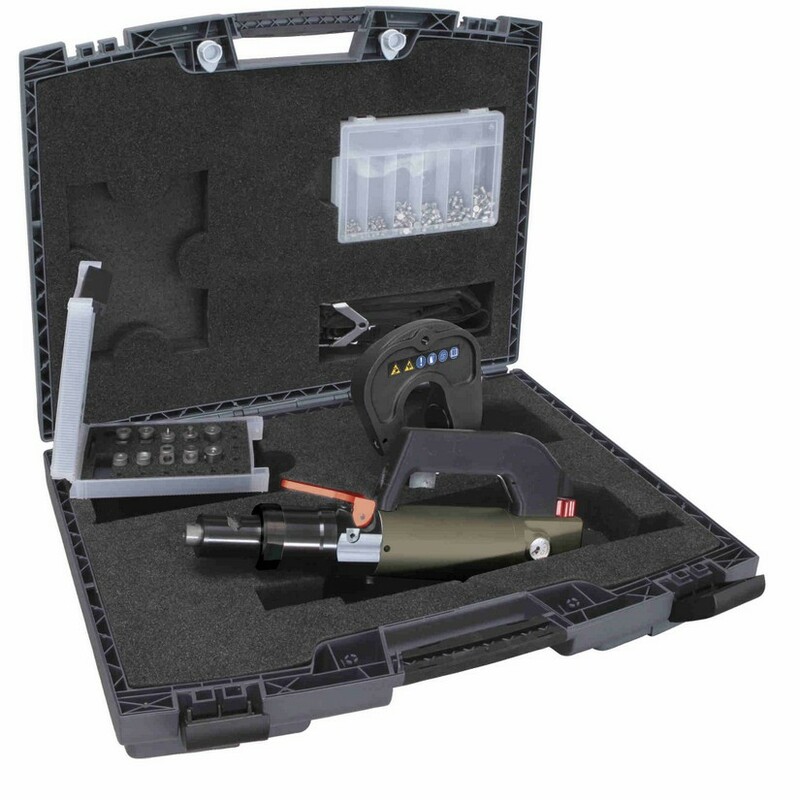 precision engineering and user friendliness making it "The Category Leader" Our Best Seller! With The GYSPRESS "8 TONS" - Get's The Job Done! See what the GYS Car Body Riveter can do for you. 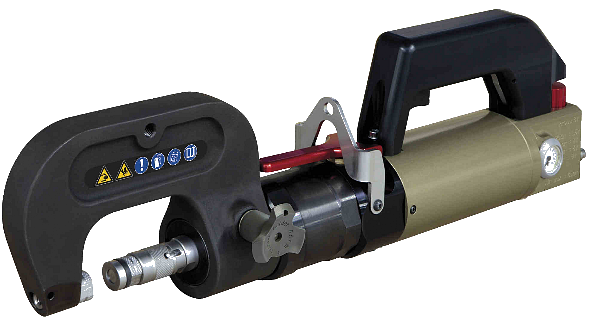 The Ergonomic Self Contained Balanced Design of the GYSPRESS 8T Self Piercing Rivet Gun encourages operator use with simplicity and effectiveness offering superior performance while generating up to 8 TONS of precision piercing pressure. 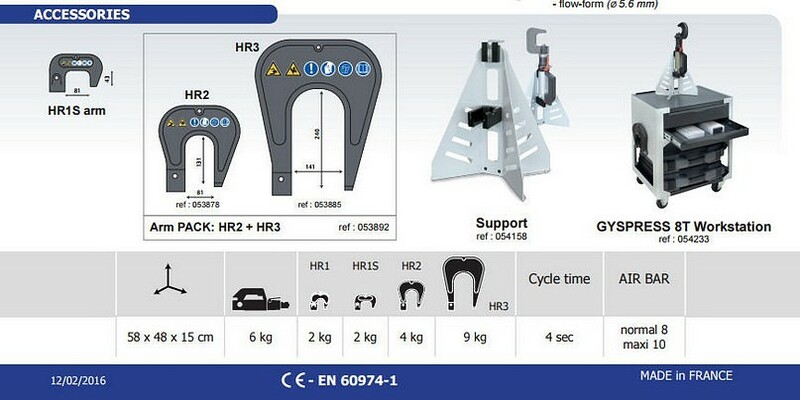 The C-Arm Rotates 360 Degrees for easy accessibility and positioning in hard to reach areas making this intelligently designed SPR machine a pleasure to use on the Ford F-150 or any aluminum or steel vehicle, foreign or domestic, present and future. 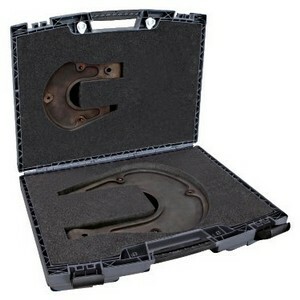 *Optional Rivet Die Kits are available for BMW / Jaguar / Land Rover / VW, Audi / Mercedes Benz and More. Confused about Riveting Applications for the Ford F-Series Pickups? The *Optional Long Reach Arms Kit Is Available And Provides Deeper Riveting Reach Enhancing The GYSPRESS 8T's Functional Capabilities When Needed. Optional: Accessories are available offering even greater technician enhancements for quickly accomplishing arm & die setup in minimal time. For the Ultimate in Convenience and Productivity set up your GYSPRESS 8T Riveter in a one of a kind complete workstation with all optional accessories combined. See The Bundled Riveting System Here. 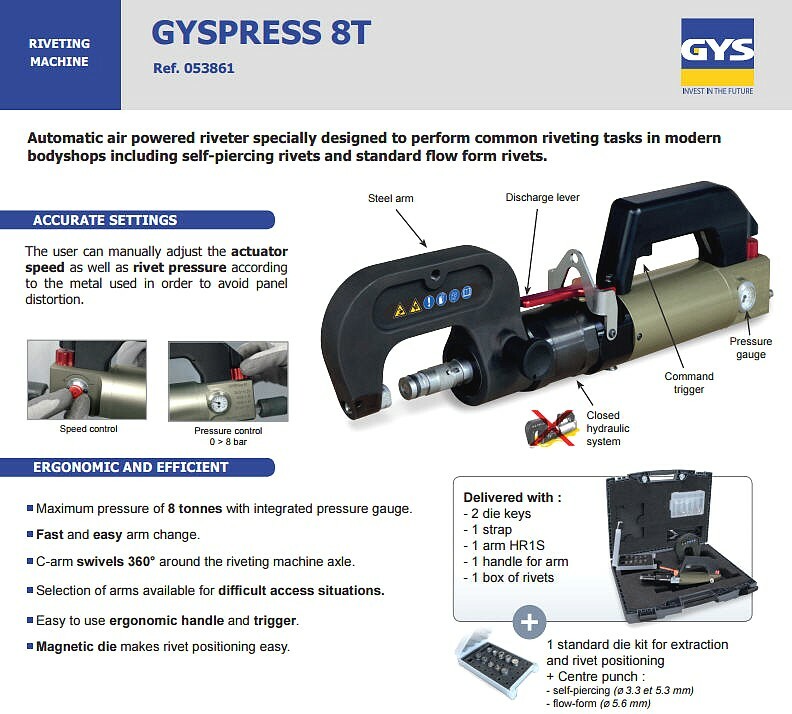 The GYSPRESS 8T Self Piercing Rivet Gun has a Maximum pressure of 8 Tons with integrated pressure gauge and speed control for easy adjustments right at the gun. 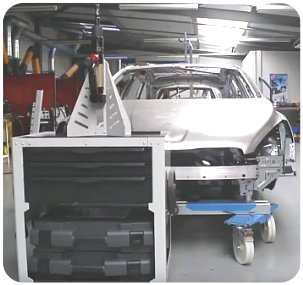 You will accomplish any Aluminum or Steel auto body repair with extreme ease and professional results with the required 8 Tons of pressure for proper rivet flattening. Fast and easy arm change. 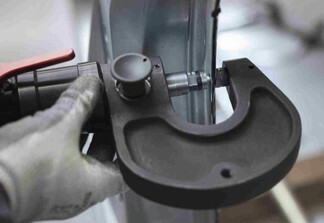 C-arm swivels 360° around the riveting machine axle. 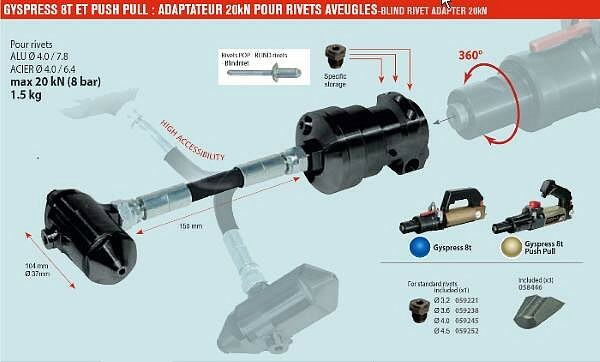 Selection of optional arms are available for difficult and long reach access applications. 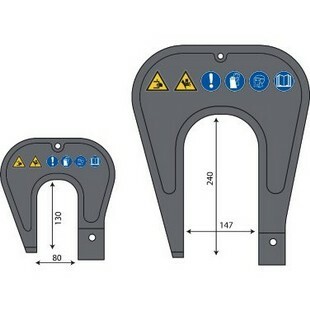 Easy to use ergonomic handle and trigger for a great user experience. Magnetic die makes rivet positioning fast & easy. GYS USA is ready to support you with expert warranty and tech support.